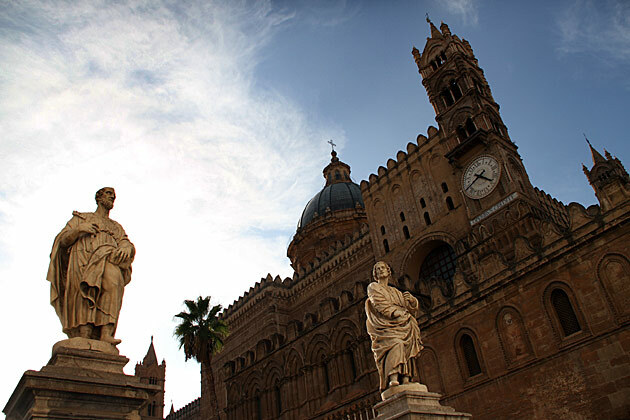 On the streets of Palermo, the only things which stick out more than the ancient palaces are big Sicilian bellies. The sight of obese men puttering around on Vespas is a daily amusement, and even many of the toddlers have a few pounds on me. Of course, it’s all perfectly understandable. 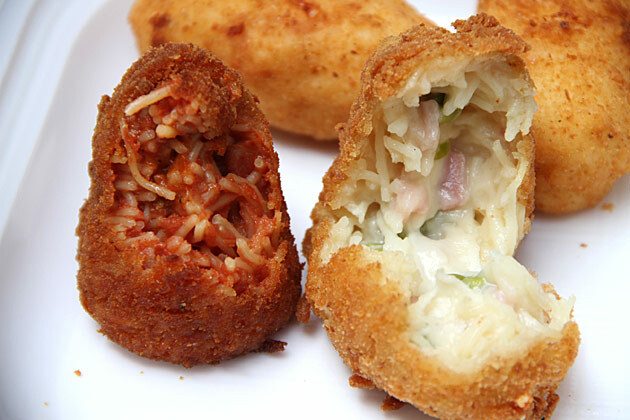 Along with pizza, pasta and ice cream, Sicilians turn out to be masters of fried food. We’ve already sampled an unhealthy share of fried Sicilian delicacies, and plan on eating a lot more. 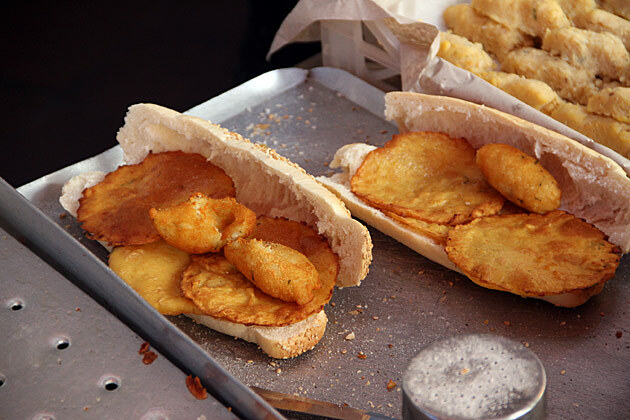 The Ballaró Market, south of the Cathedral, is an excellent place to grab some cheap grub. We tried panelle, which are chickpea fritters thought to be Arabic in origin, and crocchè: mashed potatoes and eggs covered in breadcrumbs. 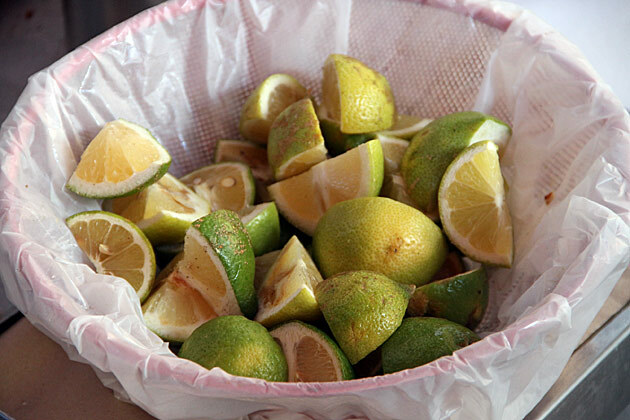 But my favorite was perhaps the rascature, a dish which literally translates into “scrapes”. These oddly shaped balls are a mixture of the panelle and crocchè, and whatever else can be scraped off the bottom of the cooking pan. 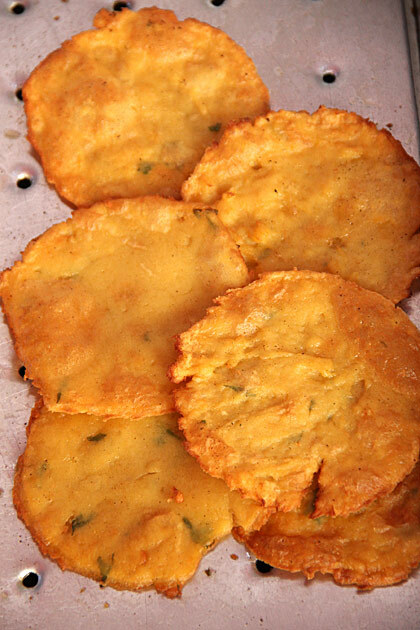 The thought of eating the fried “scrapes” from a little stall in a street market shouldn’t be appetizing, but I feel my stomach grumble as I type out their description. 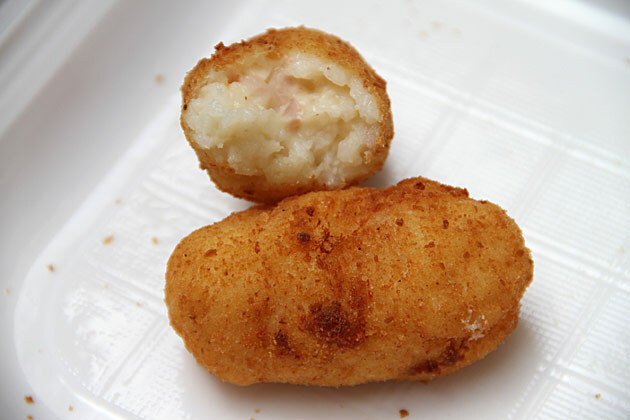 Another great spot to pick up fried delicacies is I Cuochini, tucked into a little courtyard near the Politeama Palace. This tiny eatery has been making and selling fried and baked foods since 1826, and have perfected the craft. Everything here is cheap; we put together a huge plate that nearly defeated the two of us, for €7. Oh, the things we’ve munched! 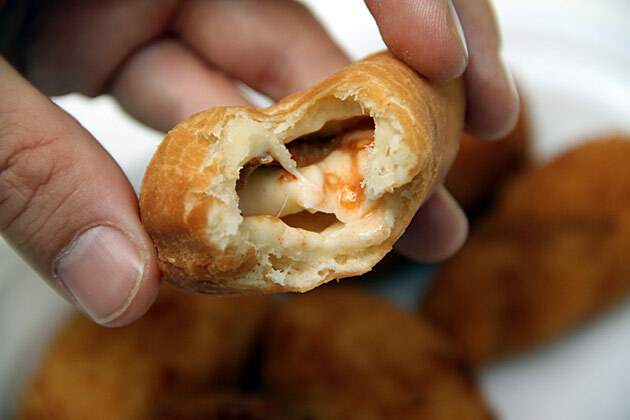 Allow me to take a quick trip down memory lane… Panzerotti: mini-calzones with a softer bread. 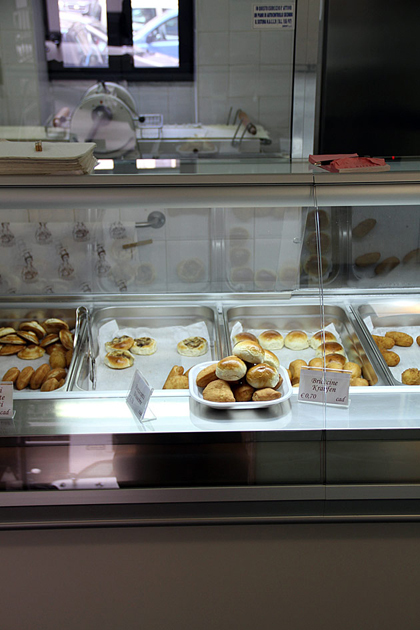 Brioscine: filled French pastries made from a dough rich in egg and butter. Krapfen: little donuts. Crostini: fried breads with tomatoes and cheese. 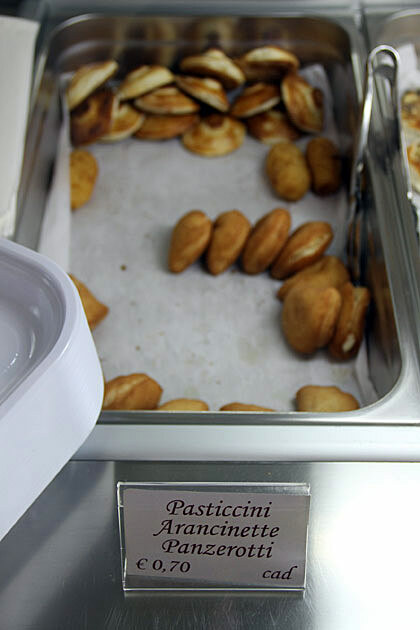 Pasticcini: pasta pockets with a variety of fillings. So, all you chubby Palermitani, you’re excused. By the end of our stay, we’d be joining your ranks. 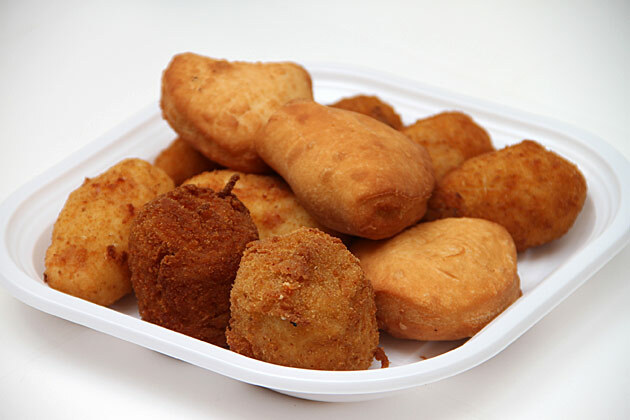 Fried Food - Yet Another Sicilian Specialty On the streets of Palermo, the only things which stick out more than the ancient palaces are big Sicilian bellies. The sight of obese men puttering around on Vespas is a daily amusement, and even many of the toddlers have a few pounds on me. Of course, it's all perfectly understandable. 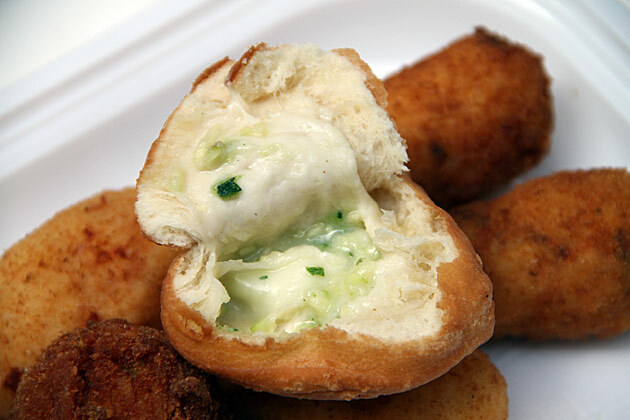 Along with pizza, pasta and ice cream, Sicilians turn out to be masters of fried food. 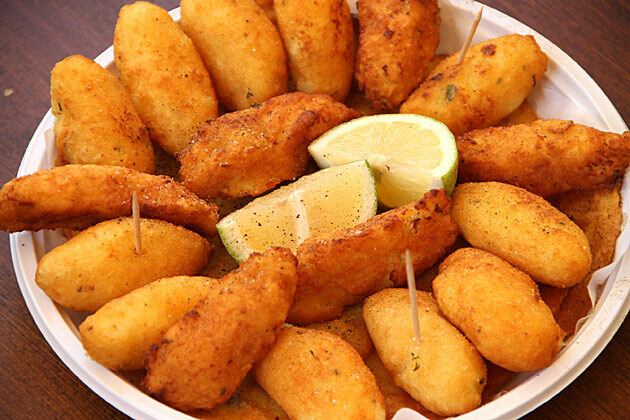 Muy sano no será, pero tiene una pinta buenísima!No me importaría ahora mismo comer esas croquetas de fideos y de arroz… ummmmm!!! I’m so full just LOOKING a t this!Great images and writings as always guys!Watch that waistline! Never seen these before and I’m a big, big, aficionado of Italian cuisine!Got addicted to panzerotti in Milan after going to the famous Luini’s, I’m afraid to go near these in case my gut expands any further! I would need to buy new pants within a week. 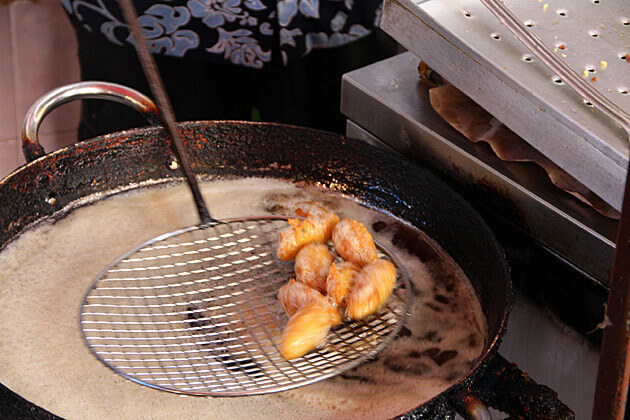 Anything deep-fried is pretty good in my book, but these look especially delicious!!! 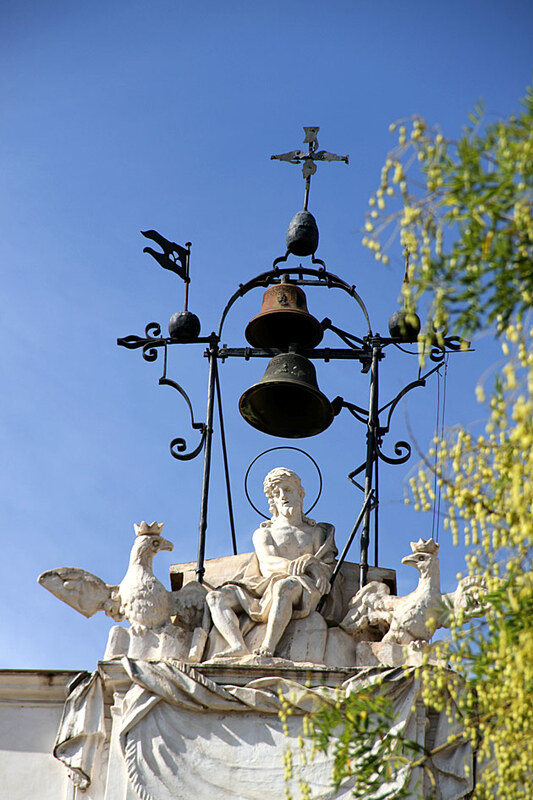 I’m going to Sicily next month for three months. I’m probably going to need a wider wardrobe when I come back. The pics are mouth watering.